Why all the excitement? Opportunity Zones, a product of the Federal Tax Cuts and Jobs Act, allow for preferential tax treatment related to capital gains. Investors who deploy unrealized capital gains to designated opportunity zones can reduce their existing capital gains by 15 basis points and completely shield any future gains from taxes if invested for 10 years in a opportunity zone. St. 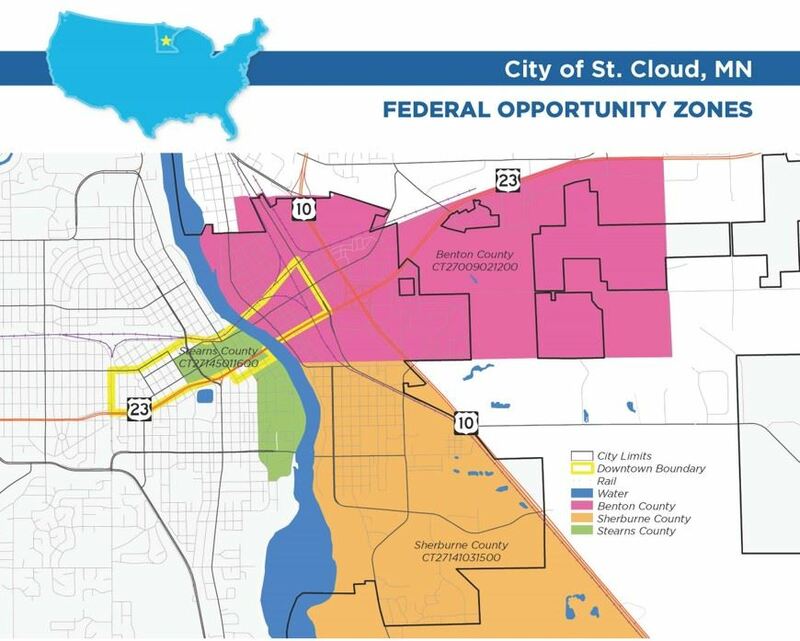 Cloud is home to three designated Opportunity Zones including East St. Cloud, Downtown St. Cloud, and South St. Cloud. These zones encompass the airport Industrial Park as well. If you are an investor or have a project in mind that is within an Opportunity Zone in St. Cloud please, contact Leslie Dingmann or me at GSDC as soon as possible. This is TIME SENSITIVE as Opportunity Zone investments must be made by December, 2019. The benefits of this opportunity to you and our community are significant! For more information contact us at GSDC: Leslie Dingmann at ldingmann@greaterstcloud.com, 320-252-5247 or Larry Hosch at lhosch@greaterstcloud.com, 320-252-5185.